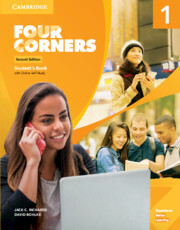 Four Corners Second Edition Level 1 (CEFR A1) combines effective, communicative methodology with a practical, 'can-do' approach. Twelve units covering topics such as friends and celebrations give students the language they need to communicate with confidence. Clear learning outcomes and 'can-do' statements for every lesson, linked to the Common European Framework of Reference (CEFR), help teachers and their students measure the progress being made. 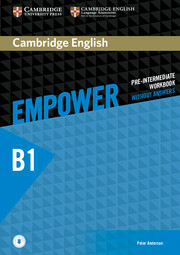 This version is the Student's Book with Self-study. The Student's Book contains a unique code that gives access to online self-study activities.